This week, we’ve written the final part of our Cuddly Dudley stories and learned all about why stories must have an ending. We don’t want to leave our characters in a problem. As readers, we want happy endings! So we have written just that. In Maths, we’ve been exploring measures with height and length. We explored using non-standard measures and have also explored using rulers and centimetres too. What another busy week we’ve had in Year one! This week, we read another book called ‘Poles Apart’ which also involved some penguins getting lost! In Science, we have been rehearsing our facts and recorded them on the iPads too, to help us with our writing. We have each become authors of our very own fact books all about Emperor Penguins too! In PE, we have been continuing our gymnastics and have learned how to complete a forward roll and worked on group balances too. We would also like to say a big thank you to all our parents for supporting your children with their homework. We have had some amazing pieces of homework to share with the class! Thanks for your ongoing support! The children love sharing what they have worked on at home with you and we love celebrating it too. This week, we have been learning lots of penguin facts and have explored how penguins keep warm with a science experiment. We also explored settings in our writing and chose a new setting for Dudley the penguin to visit in our stories. To help us write about Antarctica, we felt ice and discovered that it doesn’t take much for it to melt. In reading, we have been looking at the story of Lost and Found by Oliver Jeffers. We compared the story to Cuddly Dudley and found lots of similarities. What a week we have had! The children had a brilliant start to the term with the Rock & Pop Roadshow on Monday and they all looked fantastic in their Rockstar outfits! We became rock stars for the day and wrote our own Rockstar character profiles. It was great fun! We also revisited our knowledge of beats and notes in music and explored some other instruments too. On Tuesday, we launched our new topic and all this week we have been very excited to find out where in the world Penguins live. The children were surprised to find out that they don’t just live in Antarctica and that there are 17 different types of Penguins in different places in the Southern Hemisphere. Why not ask your children what their favourite type of penguin is, or the places they live? English has seen us learning a new story – Cuddly Dudley. We have been learning a story map and have become actors and narrators for the story too. Ask your child to tell you the story so far! In maths, we have returned to our understanding of addition and subtraction and using number lines and hundred squares to help us count up and back. This week we’ve been busy learning our number bonds to ten with the aid of ten frames. We’ve also been continuing our learning of Phase 5 phonics by exploring alternatives for the ‘igh’ grapheme. In Topic, we have been learning about significant people from history, focusing on Walter Tull. We have learned all about how he sadly became an orphan at age 7 and moved to an orphanage. However, his luck changed when he left school and became a professional footballer, playing for Clapton and Tottenham Hotspurs. This wasn’t to last though as unfortunately, in 1914, war broke out and he was drafted into the army. After being a successful soldier for two years, he became the British Army’s first black officer. In 1918, just before the war came to an end, Walter was placed in France and during combat with the German army, was fatally shot. His memory has lived on ever since thanks to a number of memorials. Why not ask your child what facts they can share with you about him? In Maths this week, we’ve been learning all about addition fact families and how if we know one number sentence, we actually know four! Especially when the equals sign likes to play tricks on us and move places! Our English has moved to story writing, where we have been looking at our new story ‘Flo, the war dog’. It is based on the story Flo of the Somme. For this, we have been looking at the roles animals played in the war and how they had some very important jobs. Ask your children what a fox did in the war, how birds were really helpful or the true story behind Winnie the Pooh. They’d be really happy to share what they have learnt with you. We’ve also been busy putting our materials knowledge from last week to good use – designing and making shelters. We have come up with some excellent designs and constructed them with the recycling which was kindly donated by you all, so thank you for your generosity. We’ve been learning all about different materials in our world and the properties of them, as well as why different materials are used for different things. In English, we have been looking at instructions and made our own paper planes. We then flew them to see whose would fly the furthest! After this, we wrote instructions on how to fold a paper plane! Why not ask your child to see if they can instruct you to do so? We also celebrated Anti-bullying week with odd socks! Did you wear yours? Welcome back to school for Term 2. We started off things this term with a bang as we all came into school dressed as if we were from 1918 to commemorate the end of World War One. We all looked fabulous in our outfits and our week has been full with poppy themed things! We have made our own poppies in various artistic styles, learnt a poem about a poppy and innovated it to write our own too! Why not ask your child to see if they can tell you our poem from the poem map below? Homework and Spellings have been sent home too, but can be also found below. Welcome back to school and to Year One! What a lovely first three days back it was for Otters, Woodpeckers and Deers! It was so lovely to see how the children had grown over summer and hear all about what they had been up to over their Summer break. We began by getting to know our classrooms and exploring the new things and routines we would have now we are in Year One... the big difference being that there are more chairs and tables ~ a space for us all. The children have settled in really well and have hopefully come home telling you all about some of the fun we’ve been having in our learning this week. In maths, the children were given the challenge to show us what they could remember about numbers: how to write them, count and the order numbers go in. We did this in lots of different ways, including using the computer and our brand new interactive boards too. In English, we shared our favourite things from the summer with our class friends. It was lovely hearing all about the time they had spent with family and friends and the variety of things they got up to! After sharing and learning about what our teachers and TA’s spent their summer doing too, we wrote about our summer. As well as this, we did lots of choosing with our friends - some who we hadn’t seen over the summer. As always, the children showed exceptional social skills; interacting, creating, inventing and sharing in many ways. In the afternoon, we had our first Year One PE session with Mr Hicks and his team, worked on our singing and also explored tigers as a lead into our new topic ~ Whose Smile? Our paper plate tiger faces were fabulous! We’ll find more out about our theme as the weeks go on, but here’s a challenge: Can you and your children spot who which smile belongs to in the pictures below? Otters will follow next week... alongside some special guest smiles! Make sure you check back next week for more! Miss Savage, Miss Ottley, Miss Reynolds, Mrs Constable and the rest of the Year One Team. Year 1 were fantastic walking to St Margaret’s Church on Wednesday. They were so sensible and kept very safe. Whilst we were at the church we enjoyed 5 church life activities including bell ringing, playing the organ and singing, christening a baby and learning about weddings! The children behaved beautifully and had a lot of fun at the church. Thank you to the lovely volunteers who helped and worked hard to make this trip a massive success. As part of our Geography learning, Year 1 went orienteering around the school. We used maps to help us find where the different flags were hidden and we had to record the country names in a table. We worked in teams to complete the challenge! In Year 1 this week we have been discussing which materials would make the most comfortable bed for Goldilocks (she is very picky!). We chose the materials and designed the bed, then built it in our Science lesson. Which bed do you think is just right? Our topic this term is Goldilocks and the Three Bears so this week we all sat together to eat porridge for our breakfast. We chose toppings to make it even tastier. We had a lovely time! Some of us went back for seconds... and thirds! As a treat for doing such an amazing job with our Easter performance, Year 1 enjoyed an Easter Egg hunt this afternoon. We had to solve the clues before we could find the eggs. Here's Deer Class with their handmade baskets and the eggs that they found! Check out our brilliant Easter bonnets too! Well done everybody for being so sporty and brilliant this week. The children took part in an exciting training circuit in aid of Sports Relief with lots of running, throwing, jumping and archery! Also a massive well done to the 12 Otters children who ran with Mr Hicks and Miss Savage to Ruskin as part of the Swindon School Marathon. 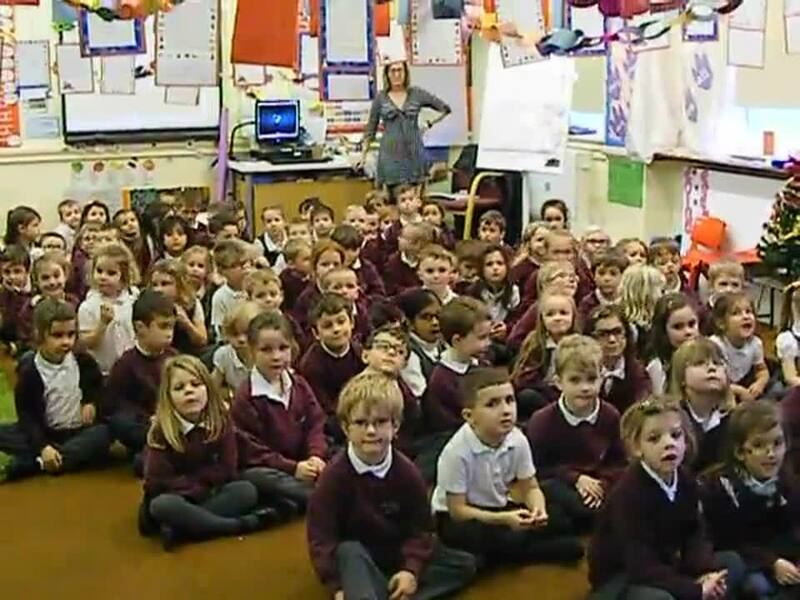 They were so enthusiastic and beautifully behaved, a great representation for our school! We all raised an amazing £134.10 for Sports Relief! Thank You. "Sorry for the delay! We have had some technical difficulties uploading the videos. 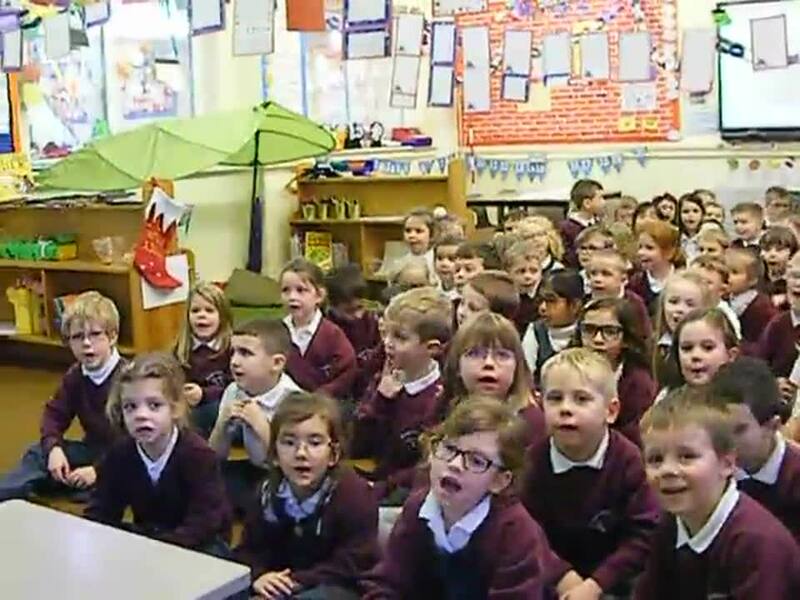 Year 1 really enjoyed learning the Christmas songs for our carol concert. They wanted to sing some of the songs even though the concert was cancelled due to the snow! Well done Year 1, lovely voices! 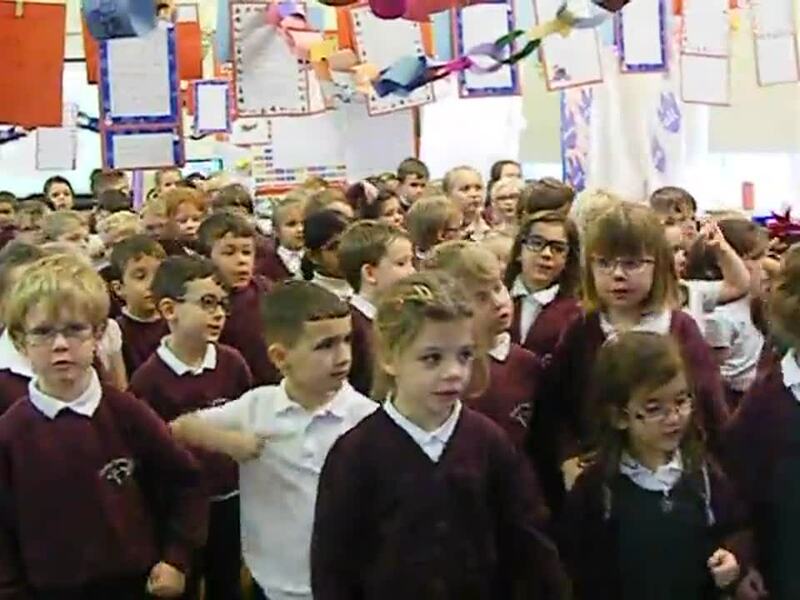 The children are super excited to share their class assembly with you later this term." Winnie the witch shared with us a recipe for her whizzing potion! The children have enjoyed writing recipes for magic potions, they were pleased Winnie didn't turn us into a frog! We've been learning about The Great Fire of London. We found out who Samuel Pepys is and had ago at writing parts of his diary. The Fire was so big and started on Pudding Lane in a bakery! In PE Mr Hicks taught us how to skip with a skipping rope - this was very tricky! Jumping over the rope at the right time was difficult. We've continued with our adding and subtracting this week, using lots of different resources to help us find the answer. Thank you to all the parents who participated in the sponsored mile and helped us raise money! You are fantastic! Well done to Tommy who is our top fundraiser in the whole school! We have been very bossy! This week in Year 1 we have been very bossy! We have been learning about instructions, including bossy verbs, time conjunctions and words ending in -ly. Practise your instruction giving carefully and politely at home this weekend! In Maths we have continued to work on number bonds up to 20. Some children have even been able to show that they can apply their knowledge to other multiples of 10. Our topic 'What Goes Bang?' has led us to learning about the Great Fire of London. We thought of questions we would like to ask to help us learn more about this event. On Friday we took part in fundraising for Children in Need. We all wore something spotty and we made a Pudsey from pennies! Wowweee - what a fantastic week! Everybody turned into artists and worked hard, persevered all week and created a beautiful piece of artwork. We used pastels, water colours and created stencils. If you would like to see the final pieces come to our Art Exhibition on the 29th November at 08:30-9 or 2:30-3:30! Continuing with our Art week, we learned about the famous artist, Kandinsky. We mimicked his work, wrote lots of facts about him and reviewed his artwork. The children loved learning about somebody new! In maths, we have been challenging our addition and subtraction knowledge by recognising our number bonds to 20 and looking at the inverses! We have been using the vocabulary "If I know... then I know" to recognise patterns in the number sentences. Welcome back Deers, Woodpeckers and Otters! It has been an eventful first week back - everybody attended their first school disco! Thank you to the Mum's and Dad's for making all the children look fabulous in their costumes, the children looked so great we had a fancy dress parade on the playground! As well as dressing up we have been doing lots of learning this week! In Maths, we practised our number bonds to 10 AND we learned the inverses too. We have been busy writing lots of number sentences with + and - ! Our topic question this term is "What goes Bang?" With fireworks night right around the corner we have started off the term describing and wondering about fireworks. In Computing we have started to think about algorithms and coding, all the children followed an algorithm by their teachers and created a crazy character! Another thank you to parents for all your positive feedback from the WOW mornings, we hope you enjoyed coming into class and seeing the children's fantastic learning! The children in Deer class had a great time on fancy dress day! We have been innovating and evaluating! This week in Year 1 we have been innovating and evaluating! In English we planned a new story about our own jungle character who lost his smile (just like Augustus!). We drew and labelled our character, wrote descriptive sentences about them and made a story road featuring them. In Maths we have done lots of hands on activities involving 2D and 3D shapes. Which shapes can you find around your home? In the afternoons we evaluated our shoebox houses. We thought about what we had enjoyed doing and what we could do to improve it. What a busy week! Before the half term holiday, we all enjoyed the Rock and Pop Music Roadshow! Musicians from the Swindon Music Service visited us and played music from each decade since the 50s. They also showed us their instruments and gadgets. We've been working very hard, especially in Maths! We've been working very hard in Year 1 this week, especially in Maths! We have been looking at 100 squares and using diennes to find tens and ones in two digit numbers. In English we have been practising our handwriting, trying to make it beautiful! We have also been writing our stories about Augustus and his smile - they are fantastic!! The children have really enjoyed their dance lessons with Miss Genna this term, learning new dances to different songs every week. The theme has been Disney which has been a lot of fun! In RE this week the children learnt about a new faith community - Judaism! We celebrated our own class Shabbat meal, sharing wine (blackcurrant juice) and bread with our friends. They children agreed celebrating this made them feel good about themselves. We are loving the junk models of animals which are coming in as part of the homework - they are fabulous! Year 1 children learning about Shabbat in RE and enjoying a Shabbat meal of 'wine' and bread. In History and Geography we have been learning about different houses in this area. We looked at houses near school then designed our own house. We worked in pairs to build our houses and they are now on display in our Construction Area. Year 1 have settled into their new classrooms really well this week. In Maths the children have been sorting lots of different objects. They worked hard in a team to create a pictogram to show their sorting! In English we have been retelling our experiences from our summer holidays and writing about our favourite parts! In the afternoons, the children have been introduced to lots of new subjects such as Dance, Music, PSHE and History which we are super excited to build upon! There will be a Parents Meeting at Grange Infants School on September 19th at 6:00pm to tell you more about teaching and learning in Year One!